(l-r) Alisha Wainwright, Isaiah Mustafa, Jim Halterman, Harry Shum Jr..
How about starting the week with a Shadowhunters treat? A treat is exactly what it was when cast members from the Freeform hit series stopped by our studio on the ABC/Disney day at the Television Critics Association 2019 winter press tour last week at the Langham Hotel in Pasadena. 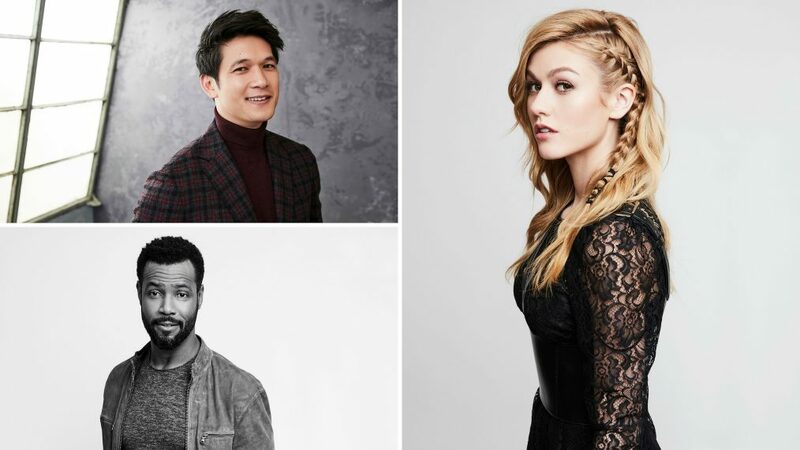 Cast members Harry Shum, Jr. (Magnus), Katherine McNamara (Clary), Isaiah Mustafa (Luke) and Alisha Wainwright (Maia) swung by throughout the day for some fun photos (one with a certain member of our own staff!). Check them out at the gallery above.